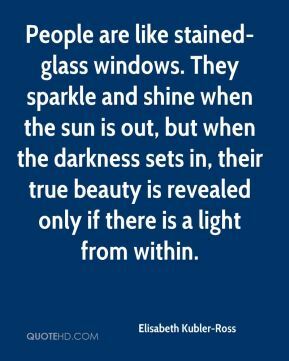 I think investors are looking through a glass darkly. 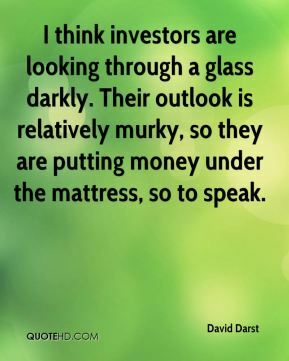 Their outlook is relatively murky, so they are putting money under the mattress, so to speak. They're doing fine, ... 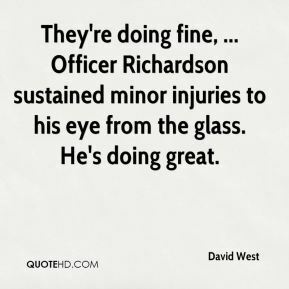 Officer Richardson sustained minor injuries to his eye from the glass. He's doing great. 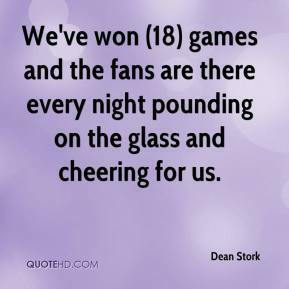 We've won (18) games and the fans are there every night pounding on the glass and cheering for us. 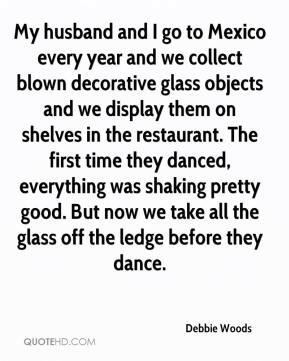 My husband and I go to Mexico every year and we collect blown decorative glass objects and we display them on shelves in the restaurant. The first time they danced, everything was shaking pretty good. 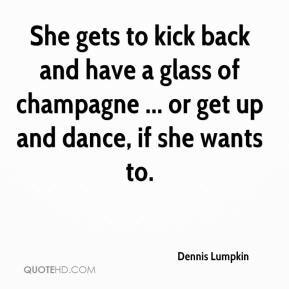 But now we take all the glass off the ledge before they dance. 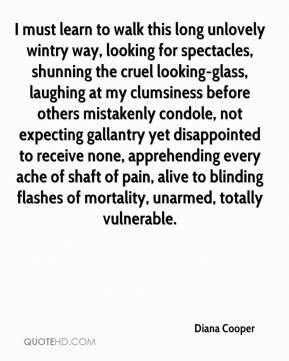 I must learn to walk this long unlovely wintry way, looking for spectacles, shunning the cruel looking-glass, laughing at my clumsiness before others mistakenly condole, not expecting gallantry yet disappointed to receive none, apprehending every ache of shaft of pain, alive to blinding flashes of mortality, unarmed, totally vulnerable. 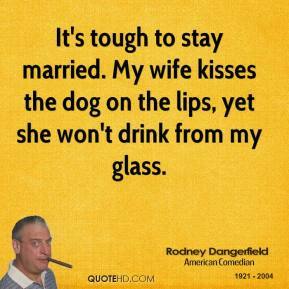 He's one of the greatest guys I ever knew. 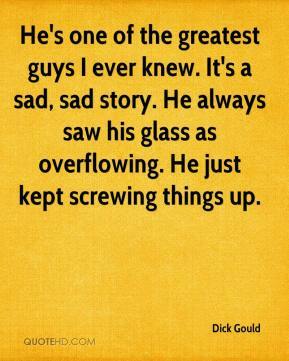 It's a sad, sad story. 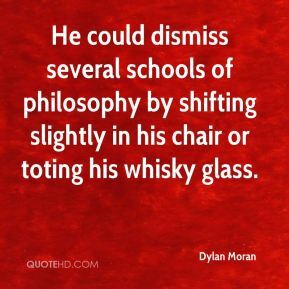 He always saw his glass as overflowing. 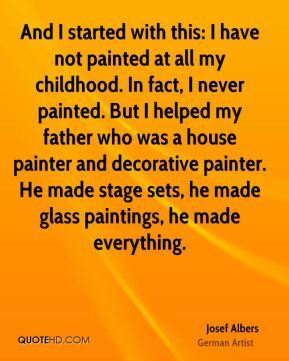 He just kept screwing things up. 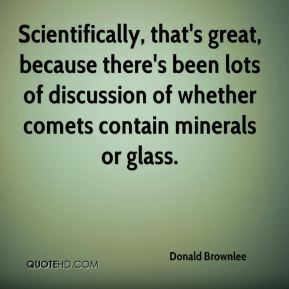 Scientifically, that's great, because there's been lots of discussion of whether comets contain minerals or glass. I could hear them, ... 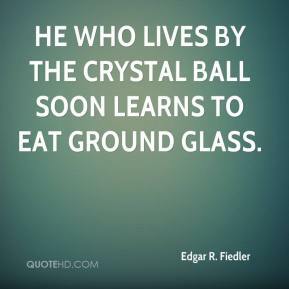 I thought they were saying: 'Glass leg' or 'How's your leg?' 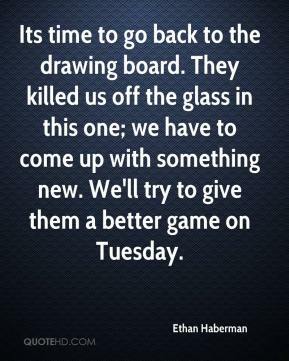 I was angry after what I heard and I really wanted to score a goal to show those stupid fans it was OK. I just want all the speculation to stop now. I just want to work in peace and the best way is to score goals. 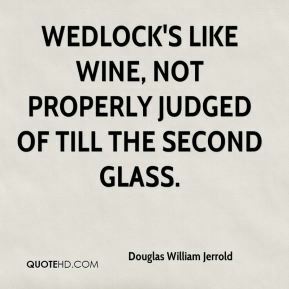 Wedlock's like wine, not properly judged of till the second glass. 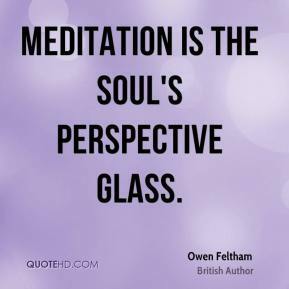 I think the market is beset with tenacious negativity. 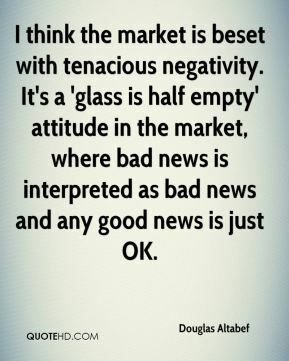 It's a 'glass is half empty' attitude in the market, where bad news is interpreted as bad news and any good news is just OK. 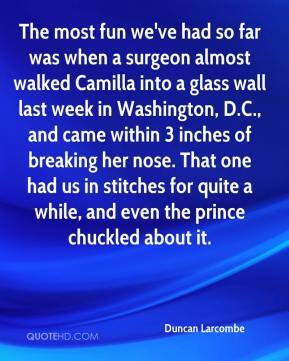 The most fun we've had so far was when a surgeon almost walked Camilla into a glass wall last week in Washington, D.C., and came within 3 inches of breaking her nose. That one had us in stitches for quite a while, and even the prince chuckled about it. 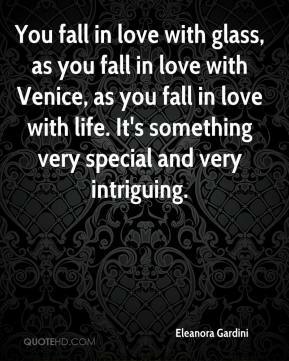 You fall in love with glass, as you fall in love with Venice, as you fall in love with life. 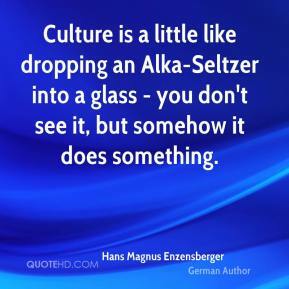 It's something very special and very intriguing. 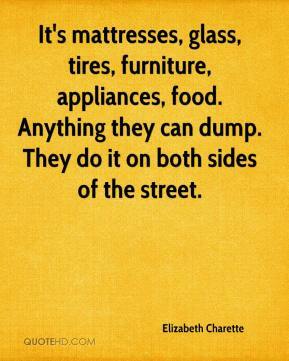 It's mattresses, glass, tires, furniture, appliances, food. Anything they can dump. 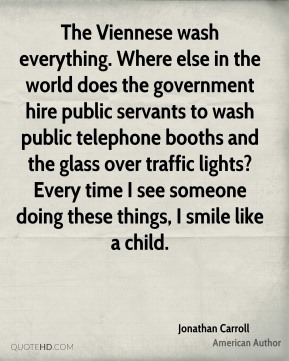 They do it on both sides of the street. 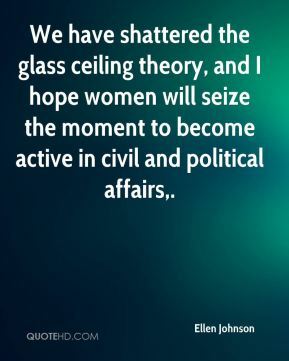 We have shattered the glass ceiling theory, and I hope women will seize the moment to become active in civil and political affairs. Its time to go back to the drawing board. 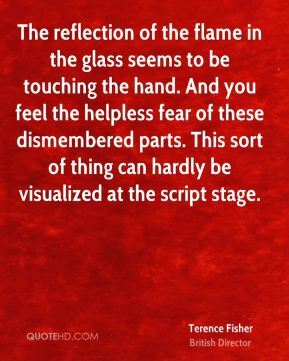 They killed us off the glass in this one; we have to come up with something new. We'll try to give them a better game on Tuesday.